Greg was a very promising young striker with the West Ham United youth team and signed a one year contract with the club in July 2004. He failed to break into the first team, going out on a one month loan to Lincoln City in August 2004, before going on loan to Canvey Island in December for the remainder of the season. 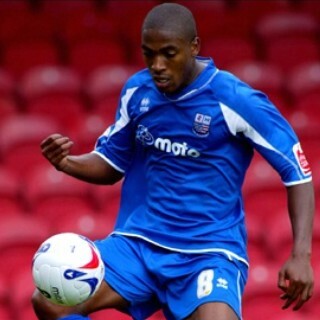 He was released and joined Rushden & Diamonds on 21 June 2005. He made his debut on 6 August 2005 against Darlington, but one goal in ten starts saw him lose his place. He made 20 starts and a further 8 substitute appearances that season, while the following year saw him make just 5 starts before going out on loan to Hucknall Town on 20 February until the end of the season. 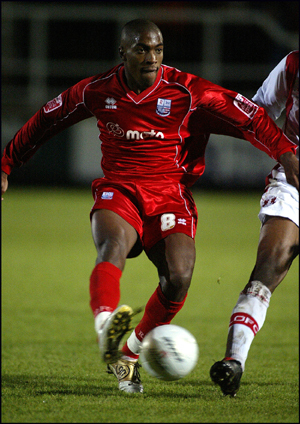 He was subsequently released, and joined Bishop Stortford where his goalscoring became prolific for the Conference South side during the 2007/08 season. On 8 August 2008, he joined Burton Albion where he remains their top scorer. In three and a half seasons with the Brewers, he helped them attain Football League status and scored 37 times in 118 appearances. He also became a qualified physiotherapist in the summer of 2011 and on 24 November 2011, Greg went on loan to Aldershot Town until 7 January. On his return after six appearances, he went on a further loan of one month to League Two side Crewe Alexandra on 13 January 2012, scoring the winner on his debut at Oxford Utd the following day. On returning to the Brewers, Greg left the club at the end of the season following 37 goals in 138 appearances and on 7 July 2012, joined Conference side Grimsby Town on a one year deal. On 8 February 2013, Greg went out on a loan deal to fellow Conference side Kidderminster Harriers for the remainder of the season. On return to the Mariners, Greg was released during early May. On 4 July 2013, Greg signed for Conference side Nuneaton Town, but after having difficulty maintaining a place in the starting eleven, went on loan to Conference North side Hednesford Town on 27 November 2013 until January 2014, when he returned to Nuneaton, although he was released at the end of that season. Spells at Brackley Town (2014-15), Halesowen (2015) before he joined Hinckley AFC in late 2015 for the remainder of the 2015-16 season. before retiring from the game. His Wikipedia entry is here.